This beautiful quilt combines paper piecing, traditional piecing and applique. Love the accuracy of paper piecing but hate tearing out all the paper? Learn a new way to paper-piece, without so much tearing-out of the paper! No, this method does not use an alternative foundation and does not use freezer paper. Curious? Come learn how! or from many independent quilt stores (online). A Yardage sheet is available on the website. Fabric kits are available from several online shops, also. If you have another Quiltworx-type paper-pieced quilt that you want some help with, you also are welcome to come to this 5-sessions class. Note that the instructor, Susan Nelson, is NOT a certified Quiltworx instructor and is not trained to teach Quiltworx techniques. 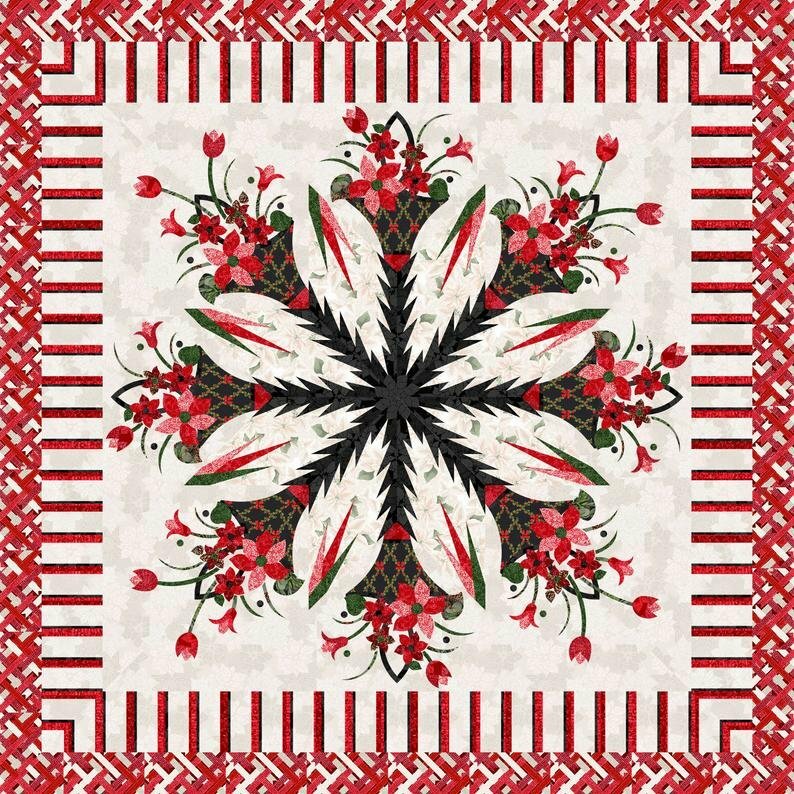 Susan is an experienced paper piecer and quilter, and teachers hew own methods. The paper piecing method she teaches in this class is a method she has modified from traditional methods.